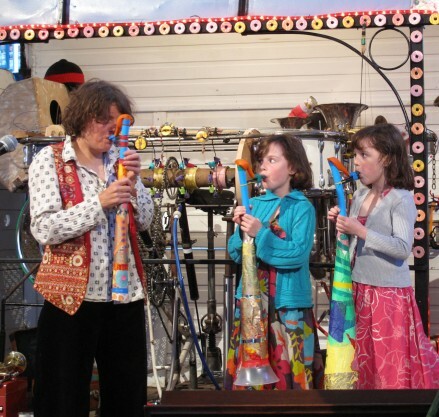 Our annual programme of big sounds for little people returns! 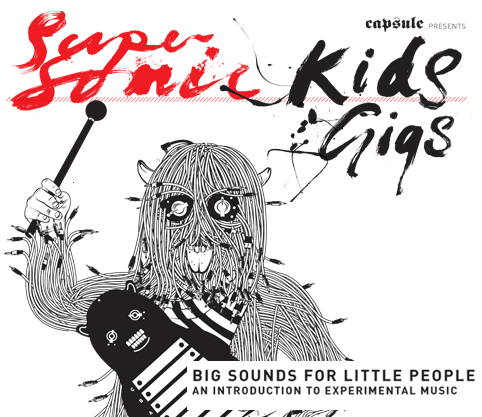 These Supersonic Kids Gigs act as an introduction to experimental music for children and their families. Taking place on Friday May 30th in the foyer of Symphony Hall , kicking off at 10:30am. This is a free event and recommended for children under 10 and their families. powered orchestra, designed to be slightly beyond her control, creating a mixture of dirty noise and plaintive almost tuneful melodies. As well as her solo performances Sarah has performed and recorded with a range of musicians from Glasgow’s vibrant experimental music scene including Daniel Padden, Mark Vernon and Luke Fowler. She also builds large scale instruments and installations, including ‘Wind Pipes’ for Edinburgh art festival, made from salvaged church organ pipes. And ‘Sound House’ for Modern Art Oxford, an instrument made from a house. Wind Pipes for Edinburgh – Daniel Padden (full version) from Edinburgh Art Festival on Vimeo.